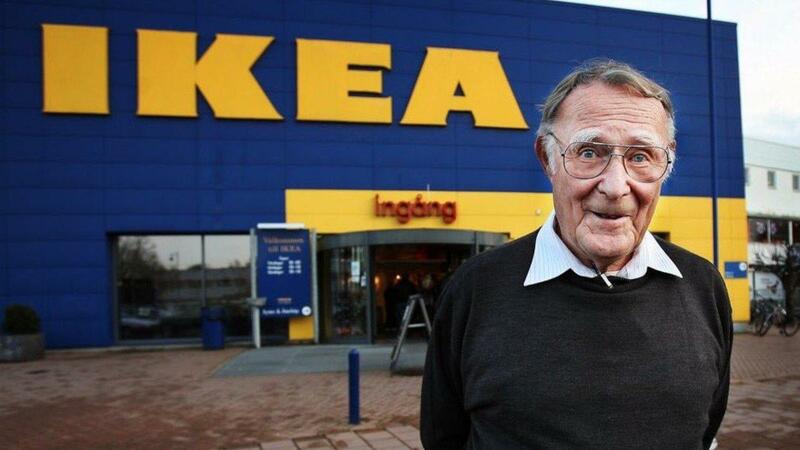 In late January IKEA founder Ingvar Kamprad (pictured) died at the age of 91. It has been said that IKEA is similar to Marmite, you either love it or hate it. However, I think what IKEA has done for home fashion is a little more complex than that. Of course, the figures speak for themselves. With more than 400 stores in 49 countries and with estimated retail sales of £30 billion in 2016 there is little doubt that IKEA is a global success story. Whilst we have become used to high street fashion clothing retailers such as Zara, Topshop, and H&M as well as premium brands such as Burberry and Prada managing the cultural boundaries, I think that IKEA is unique in what it has achieved in terms of worldwide reach for furniture. What has been the secret to IKEA’s rise? It’s not just the introduction of flatpack furniture, which for many still falls into the “love it or hate it” category. Behind this was the idea that furniture did not have to be taken too seriously. It could be a fashion item and, if cheap enough, you could afford to have a change every now and again. When I first set up home, the options for buying furniture were very limited with most items old-fashioned and traditional. They came with a hefty price tag, so you bought them with a view of keeping them, at least until your silver wedding anniversary. Now we can all change our minds or refresh wheneve we feel like it without breaking the bank. For those wanting to cheer up a rented apartment, IKEA has been ideal: colorful, functional, and no need to worry too much if you didn’t take it all with you to your next home. Of course, being part of the throwaway culture brings its own problems, but IKEA has developed targets for renewable energy, recycling, waste management, and “green” product sourcing. Last year in the UK, IKEA reported they had achieved zero waste to landfill (although this does not take into consideration what their consumers may send to that landfill). IKEA’s most important gift to us is the desire for more aesthetically pleasing items in our home. That has led to a raft of companies developing furniture both cheap and expensive, but above all — like IKEA — colorful and functional. Today, furniture is as much about fashion as any of the high street clothing stores, and anyone setting up their home has an enviable array of outlets to source their interior design creations. Though of course not all of them sell meatballs.